Whether you're seeking a quiet place to escape the noise of daily life, or you'd like a sincere and joy-filled community to share the Sacrifice of the Mass, look no further. The lower Shrine is open 7am-5pm Mon-Sat and 8am-2pm Sunday. Eucharistic Adoration takes place each day when the chapel is not otherwise in use. The upper Shrine is open for weekend Masses, and can be opened for tours, pilgrimages, and special ceremonies. The Gift Shop is open every day of the week. We sell religious items, holy cards, rosaries, books, statues, and more. 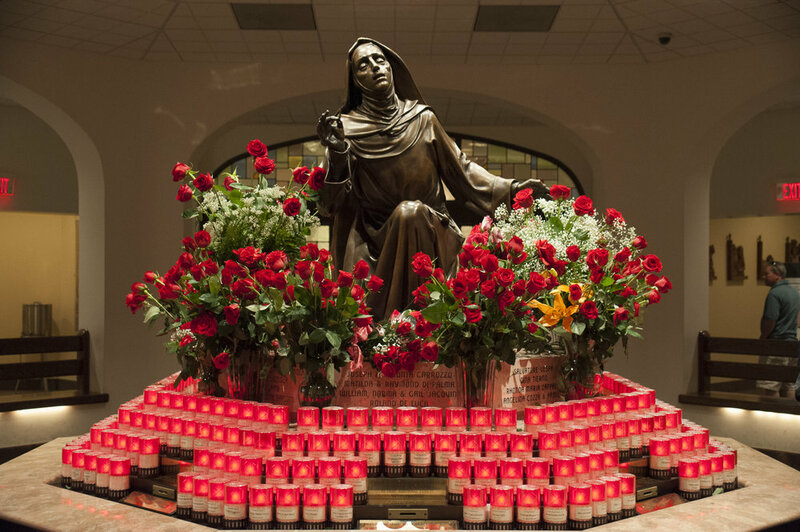 The National Shrine of Saint Rita Office is located at 1166 S. Broad Street and is open during normal business hours. Our office staff is friendly and helpful. Find out more!